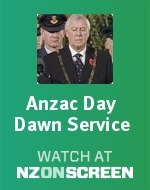 More and more New Zealanders attend Anzac Day ceremonies in the 21st century. Being at Gallipoli on 25 April is almost a rite of passage for young Kiwis travelling overseas. Each generation of New Zealanders redefines the day to suit the mood of the times, but the last 40 years have been a time of much redefinition. Anzac Day was caught up in the protest movements of the 1960s and 1970s, especially around issues of peace and women's rights. In 1967 members of the left-wing Progressive Youth Movement in Christchurch laid a wreath protesting against the Vietnam War. They were later convicted of disorderly behaviour, but a pattern was set. Similar incidents occurred at subsequent Anzac Days as protestors tried to bring attention to their anti-war cause. Anti-war protests at Anzac Day largely died out in the mid-1970s with the end of the Vietnam War. New controversy erupted in 1978 when a women's group laid a wreath in memory of women killed and raped in war. Other lobby groups – feminists, gays, anti-nuclear and peace protestors, and Maori activists – laid wreathes at Anzac Day services during the 1980s. The day had become more than a commemoration of New Zealand war dead and war service; it was being used to make statements about war and society. Many returned servicemen were puzzled or angry at this, but such activities breathed fresh relevance into the day. Increasingly Anzac Day was regarded as an appropriate day on which to debate defence and war-related issues. Former servicemen and politicians used the day themselves to speak out on anti-nuclear policy during the 1980s. Anzac Day had undergone a renaissance and more young people attended the services. The growing mood of nationalism evident in the 1980s found partial expression in a day that had always been an opportunity to mark what some people thought of as the foundation of a distinct New Zealand identity at Gallipoli. Other events, for example, the ANZUS crisis and anti-nuclear movement, also linked the concept of national identity and war. Forms of cultural expression made the connection, too, as books, plays and documentaries reinforced the association of war and national identity in the public eye. The 75th anniversary of the Gallipoli landings in 1990 attracted immense interest. This was the year in which New Zealand marked the sesquicentenary, or 150th anniversary of the signing of the Treaty of Waitangi. As a result many New Zealanders discussed issues surrounding the theme of national identity. An official delegation, led by the Governor-General and including a Gallipoli veteran, was at an emotional service at Gallipoli on 25 April. There was even more interest in the 90th anniversary of the landings. In 2005, thousands of New Zealanders were at Gallipoli. They gathered in the chill evening of 24 April, marked the dawn service with the Australians and attended the distinctly New Zealand ceremony at Chunuk Bair later in the day. Politicians, dignitaries and representatives of New Zealand's armed forces were all there. The ceremonies could be watched live on television in New Zealand. Rituals on Anzac Day follow the form developed many years ago. There is still a dawn service; war veterans and serving personnel continue to gather at memorials and in Returned Services' Association clubrooms; politicians and local dignitaries still attend ceremonies. Shops and hotels remain closed on Anzac Day morning. Now, people remark on the number of young New Zealanders in the crowds. Some wear the medals their grandparents and great-grandparents won during war. There are now no veterans left from Gallipoli or the First World War. Bright Williams, who passed away in 2003, was the last, and the number of Second World War veterans becomes fewer each year. Anzac Day enjoys unusual reverence in a country where emotional public rituals are otherwise absent. The day still has a traditional commemorative function, but for more people it is also becoming an opportunity to talk about what it may mean to be a New Zealander. We have 6 biographies, 18 articles, related to Anzac Day.